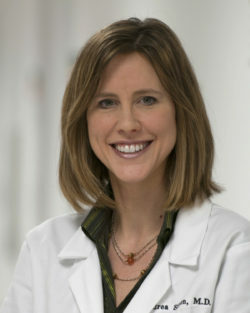 Andrea Sikon, MD, FACP, is the Chair of the Department of Internal Medicine and started the Primary Care Women’s Health Program for the Medicine Institute at Cleveland Clinic where she also started the enterprise’s Staff Mentorship Program. She is a National Certified Menopause Practitioner and Certified Densitometrist, practicing in both Internal Medicine and the Center for Specialized Women’s Health with clinical interests in Women's Health, osteoporosis, menopause, diabetes and cardiovascular disease management. Born in Cleveland, Ohio, Dr. Sikon earned her degree from Northeast Ohio Medical University School of Medicine and completed her internship and residency in Internal Medicine at Mercy Hospital in Pittsburgh, Pennsylvania. Dr. Sikon has numerous publications with ongoing research in her special interests of Osteoporosis and Menopause. She is a member of the National Osteoporosis Foundation’s Professional Editorial Board and of the Women’s Health Task Force, Women’s Health Caucus, and Patient Centered Medical Home Education Working Group of the national Society of General Internal Medicine. Dr. Sikon, has made it her mission to help inform women how to take charge of their health. The mother of a young daughter, she is a popular lecturer at Cleveland Speaking of Women’s Health conferences on Osteoporosis and bone health in women. She has been honored yearly by her peers as a voted member of the Best Doctors in America list since 2007. She has also achieved the National Committee for Quality Assurance Diabetes Recognition Award for her care, which is a widely recognized symbol of quality given to select providers across the country. To request an appointment with Dr. Sikon, please call 216-444-CARE or visit the Online Appointment Request form.